Most of the time, I ride in the hearse or the lead car with the funeral director for the journey from the funeral to the gravesite. This is always fun, because contrary to their dour image, funeral directors can be quite funny. They are usually willing to regale you with outrageous stories from the death business, if only you are willing to inquire. 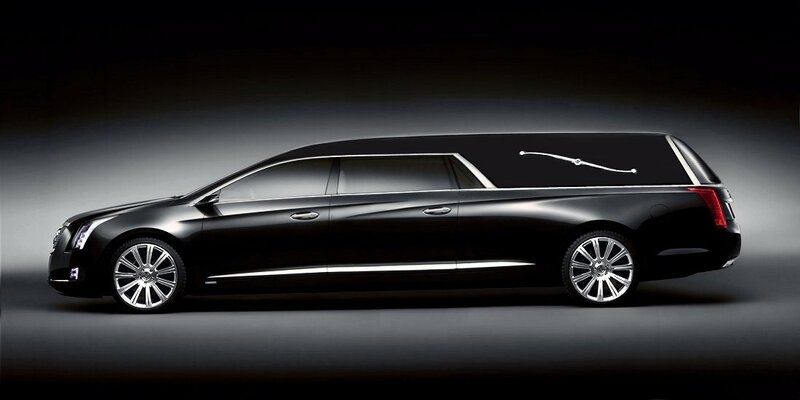 But the far more important and advantageous reason for riding with the funeral director is that I do not have to drive my car in the funeral procession. I do not drive a nice car. I have grown up enough to no longer drive a car that is a complete and total embarrassment, better suited to a high-schooler than an educated professional, but I still drive a car that is small, cheap, used and usually unwashed. I drive this car partly by choice and partly by economic necessity. Contrary to popular belief, pastors are not usually wealthy people. I do not choose to use my limited resources on purchasing and maintaining a sweet ride. I am fine with that. 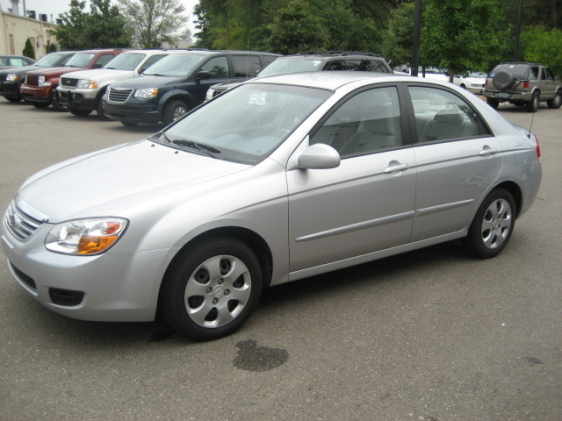 I like my car, its reliability, excellent gas mileage and low price tag. I do not have car envy. I do not secretly wish for something bigger and fancier. I feel no shame or embarrassment over my car or its condition. Except on those rare occasions when I don’t get to ride with the funeral director, and I have to insert my small, cheap, unwashed, well-worn automobile into the funeral procession. And not just anywhere in the funeral procession. They always want the pastor up front. Usually either directly behind the hearse or between the lead car and the hearse, where my battered little ride sticks out like a pimple on the prom queen. That means that the whole funeral procession is behind me, fixing its eyes on me and my automobile. Even the grieving family rides behind the pastor. Today, there were three stretch limos involved. So the procession went: Cadillac, Hearse, me, Limo, Limo, Limo. One small, dirty, four-year-old Kia in a sea of beautiful, shiny, black luxury. I climbed out of my car at the cemetery feeling like I’d just shown up to New York’s Fashion Week wearing something from the clearance rack at Old Navy. 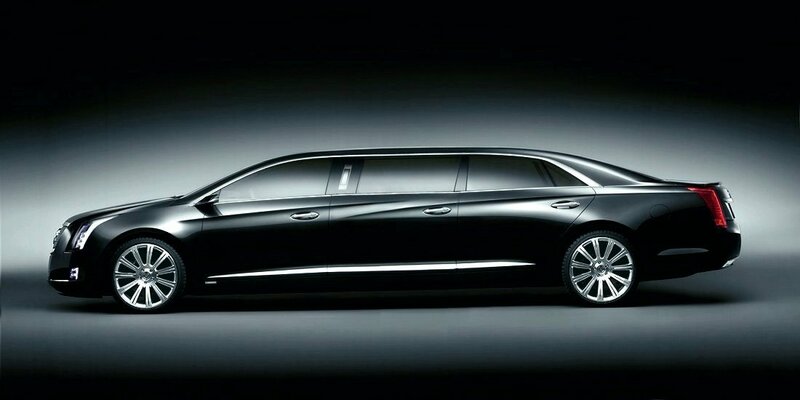 Would anyone be interested in a clergy car co-op, where we purchase one shiny, new black sedan to take turns driving in funeral processions? What does it mean to be a member? Why does it even matter? The question came from a woman who had returned to our church after an absence of more than 25 years. She had been baptized, confirmed and married at our church, and several of her children were baptized and even confirmed with us. No one in the church remembered her from those years, except the one neighbor who had invited her back. She had approached me to talk about how to get more involved in the church, and we were sitting on her back porch having that conversation. I had—carefully, gently, so as not to hurt or anger her by telling her she was no longer “on the rolls” as a member—invited her to renew her membership in the church along with several others who were joining for the first time. Her question did not surprise me, but its directness confronted me with my own questions on the subject. We live in a world where loosely-organized and constantly changing social networks are fast becoming our norm for community. Institutional distrust is at an all-time high, and people will avoid church ties just because the church is an institution. Membership organizations of all kinds are losing ground as younger generations may be interested in participating, but not joining or holding office. Most people visiting our churches either have a spiritual journey that crosses multiple ecumenical (and even interfaith) lines, or no history of Christian faith at all. This context has a dramatic impact on the meaning of membership. People come to our churches seeking faith, community, a chance to serve and to be a part of something bigger than themselves. In my church and many others, our first step in answering their quest is to offer them membership. The returnee who asked me the question sought all of those things, and as I sat with her on her back porch I tried to make membership the answer to her query. After all, my pastoral training has taught me to grow the church and get people to become members. Membership is about belonging to the community, I said, because we take care of one another. Reaffirming your membership vows means reaffirming your commitment to follow Christ and grow in your faith. It is promising to serve Christ by attending and supporting the church and helping us together serve the community. Joining our congregation links you up with the wider United Church of Christ and the church universal, God’s presence in the world. In reality, though, I knew that she could find all those things through simple participation in my church, with or without ever becoming a member. I can say with some confidence that our church is a place where her spiritual quest can find support and fellow sojourners. We are a vital congregation, and we offer multiple ways to deepen your faith, connect with other people, find ways to use your gifts and talents in meaningful service, and be a part of something bigger than yourself. But none of those activities require membership. What would membership do for her? Let her vote in congregational meetings and hold some elected offices reserved for members. Most of our ministry teams are open to all for participation, regardless of membership status, so there is little added benefit to becoming a member. It might make her feel a greater sense of official belonging, but we have had plenty of people become members who never feel like they really belong. Beyond that? I can’t quite come up with much more that membership would do for her spiritual quest. On the other hand, I could quickly and easily generate a list of ways that her becoming a member would benefit me, the pastor. Clergy have long been taught to measure our job performance by the number of new members added to our community, so there is a great benefit to me in getting someone to sign on as a new member. The church would grow, in a tangible way that I could report on next year’s yearbook forms and in my next job search. Membership also belongs to a care-taking model of ministry, where the pastor-as-shepherd is responsible for the well-being of the sheep. Membership helps me know who I am responsible for and who I am not, who I need to visit in the hospital and who I can put off, who I need to call when they stop attending worship and who I do not. Encouraging her to become a member helps me a great deal. The church benefits from her membership too. People would see her participate in the public rite of membership, and see the church growing in numbers. People in the pews feel good when new people (or, in her case, returning ones) join the church—it gives them a sense of pride that other people want to be a part of their community. The church can look to her for financial support, and ask her to help in leadership and service. Again acting in the care-taking model, they will know that she is “one of us” and needs us to look out for her. While membership does a whole lot to benefit the pastor and existing edifice of the church, I’m not sure what it does to build the church of the future or nurture future disciples. I’m still not satisfied that membership might play any significant role in a person’s quest to know the God of Jesus Christ. Do not misunderstand me—I believe we still need a faithful path for people to commit themselves to the church. Faith grows by commitment, leadership and accountability. The church should be creating communities where people can make deeper commitments, be held accountable in their Christian walk and grow as leaders and witnesses. I just don’t think membership does those things, and I’m not sure exactly what it does do. I have encountered some new churches that have engaged a different model of membership. Everyone that participates in some way—attending worship, volunteering in a service project, showing up for a fellowship group—is considered a part of the community. As individuals get more involved, they are invited to make a specific, holistic commitment to the congregations. Some churches call them “covenant partners” or “discipleship leaders.” These people make promises that include things like continuing to grow in their faith, supporting the church financially and with their time, participating in mission and service, and sharing their faith with others. I am increasingly convinced, however, that church membership is a concept that has outlived its usefulness. We must begin to create richer, more nuanced and more open ways of understanding our church communities. We must rebuild our congregations on the model of mission outposts, rather than the model of social clubs and mutual aid societies. We must imagine new ways of making decisions and governing ourselves at the local and denominational level that are based on participation rather than record-keeping. We must measure our ministries by the fruits of the spirit taking hold and transforming lives, rather than the number of people who exit or enter our registry. Changing the meaning of membership is part of the wider cultural change taking place in the church, and it will require a generation or more to unfold. But we have to start somewhere. Sitting on that back porch, having tried my best to make traditional membership the answer to her spiritual quest and to explain membership in some meaningful way, I finally gave up. “You asked a really good question–and a tough one,” I said. “The church that you grew up in has changed, and the world has changed. 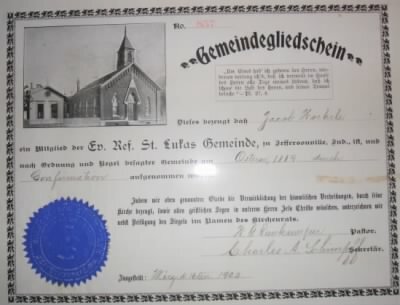 We don’t place as much value as we used to on having our name counted on a list as a member of the church or the Elks or the Masons or anything else. But we still have those old systems in place, until we figure out a new and better way. There is a lot of conversation right now about what role membership plays in the church. So maybe you can think about joining as a member of the church, and together we can figure out what that will mean.” In the end, she did. Together, I hope we keep the conversation going and figure out what it might mean. Having a Mary Heart in a Martha World: Finding Intimacy with God in the Busyness of Life by Joanna Weaver, Waterbrook Press, 2000, 242 pp. I read this book at the choosing of our Women’s Fellowship group, who asked me to help lead them in a discussion of a chapter every month at their meeting. To be honest, it is not a book or genre I would have chosen for myself. On the bookstore shelf you would likely find it under “spirituality,” but it could also be “Christian self-help.” I feared it would be shallow, poorly written, conservative in its ideas about God and women’s roles, and so filled with advice it would make someone’s head spin. I am pleased to report that it was not. While I would not give it five stars for any of those categories, Weaver’s style and theology were basic, clear and filled with warmth and love. Using the basic conflict between Mary and Martha’s roles (one in the living room, one in the kitchen), and the wisdom of Jesus to come to the living room for time apart with God, Weaver takes a close look at the hectic nature of women’s lives. She names the tensions we feel between faith, friendship and faith, and our need to get Martha’s tasks done while taking Mary’s time with God. She gives practical insight and advice about these matters of the heart. I read this book in short doses, and in conversation with the ladies of the Women’s Fellowship, a dedicated group of women aged 75+. My experience of the book was shaped by that conversation, and by the wonderful discussions it sparked among us. (Including this one.) While, for most of them, the busy time of their lives is over, they still felt the same pressures of care-taking in different ways. The book opened us to moments of conversation about the expectations men have of women’s roles and service, the portrayal of women in the Bible, the historic exclusion of women from church leadership, the tension between grace and works, and more. These women connected to Weaver, because she wrote with such a sense of honesty and openness. She freely disclosed her struggles with everything from a messy house to a vacant prayer life. The women’s hearts responded to her honesty, and they responded with an honesty of their own. The book’s tone launched a frankness that is rarely seen in my church conversations, and it was a real space for the Spirit to work. I would not have chosen this book for myself, but I took great delight in reading it alongside these women. Weaver’s faithfulness and earnestness let the Spirit speak through her, even though my perspective may be a bit different. It might do the same for the women’s group at your church. This morning started out rough. B woke up early, then melted down from tiredness, then we got stuck in 45 minutes of traffic on the ride to school. To fill time in traffic, I introduced B to new music: Johnny Cash’s My Mother’s Hymn Book. B loves music, and we have been intentional about teaching him our favorites. For J, that means The Beatles. For me, that means the songs of the church. The music of the church is my deepest connection to God. When I need strength or hope or intimacy with God, I start to sing. My great-grandmother taught me to love the old hymns like “Whispering Hope” and “In the Garden.” My children’s choir directors filled me with “Apple Red Happiness” and “Do Lord.” During youth group, church camp and retreat years, I learned “Sanctuary” and “Pass It On” and “It’s Amazing.” In college, we sang social justice with “City of God,” and “Lift Ev’ry Voice” and “We Shall Overcome.” In every church I’ve served, I have learned new songs as I learned more about God, and the songs hold that faith understanding for me. Increasing my repertoire of songs increases my repertoire of faith. They are a reservoir of strength, courage, insight, hope and grace. These songs of my heart have shaped my understanding of God, and they are my testimony to God’s love. I want to pass the songs on to B as they were passed on to me, so that he too can have such a supply of faith-filled words and melodies to draw on when he needs them. And so this challenging morning I removed The Beatles from the CD player and stuck in My Mother’s Hymn Book. With a touch of irony as we sat in traffic, the song that swept us away today was “I Shall Not Be Moved.” This is one of my heart’s songs, and it often comes to me when I am facing difficulty or conflict. I sing it as a mantra of encouragement and strength when I feel weak or afraid. This morning we played it over and over. Johnny Cash, B and I sang our hearts out. For the first time, B continued to belt out the melody line when I switched to harmony, so we became a trio of young and old, unison and harmony, wisdom and innocence. I went from grousing to laughing, and then to crying with joy at the crazy beauty of this one moment. When we finally got to preschool, 20 minutes late, we stayed in the car together to sing it one more time. I did not want the moment to end. B will not likely remember this moment. Perhaps, though, with enough repetition, he will learn this song by heart. Someday, when he needs it most, this song might come into his heart and bring him faith, encouragement, strength, grace, the love of God and of his mother. The Glass Castle, by Jeannette Walls, Scribner, 2005, 288 pp. This book unfolds the simultaneous story of an unraveling and a piecing together, a coming apart and a unification. Walls’ memoir tells the story of her childhood, which is the unraveling of her parents’ mental health, the piecing together of her perception of what is really going on, the coming apart of any sense of stability or care, and the coming together of Walls’ own strength and fortitude and identity to escape and make a life for herself. The account begins on Park Avenue in New York, as Walls rides in a taxi on her way to a party. She sees her mother digging through a dumpster. The story unfolds how her parents ended up there, and she didn’t. It’s the story of how she discovered her childhood experience was not normal, and how she and her siblings survived and eventually thrived. What’s striking about the earliest chapters of the book is the matter-of-fact tone Walls takes while recounting horrific stories of pain and neglect. She describes injuries, hunger and inattention in her own life with a sense of distance, almost like a third-person narrator. It is impossible to tell if her distance equates to a necessary emotional distance from the pain or a healing and forgiveness from the dysfunction. I found myself getting angry and outraged on Walls’ behalf, because she did not express those things herself. Some outrage does emerge as she matures in the story. It is this anger and indignation that eventually propels Walls and her siblings to leave home. It is the development of anger and separation from her parents, especially her father, that saves her. This separation is never easy and never complete. It feels crushing for her to leave home because it is a rejection of all her father, whom she loves in spite of it all. Walls’ writing somehow manages to shield us from the heat of her emotions while connecting us to them, so that we can empathize both with her love and her need to leave. She does not write her book to punish her parents, or to work out her issues with them, or to offer moralization, or to tell a story of heroic overcoming. She just tells the story because it is her story, and it is compelling. Mommy, what does “kill” mean? The drive to preschool has become definition time. If B has heard new words he does not understand, he often asks about them during the quiet drive. I enjoy his inquiring mind, and the challenge of explaining something in terms he will understand. Last week, though, it got complicated. I chuckled to myself at his nonsense comeback, and felt grateful that he did not yet understand what game they were playing. His question had afforded me the opportunity to give some explanation and interpretation, rather than letting him get all his information from his schoolmates. B has not had any serious exposure to death, so it was difficult to be honest and truthful in answering his question with no context at all. Even more, his simple quest for a definition raised a whole host of theological and moral issues for me. When I explain death, do I just explain what it means, or do I offer theological perspective and insight? To be honest, I’m not even sure what theological perspective I would offer. I am confident in my faith that this world and all that is in it is not the end, that the God of Jesus Christ is a God of resurrection and new life, able to overcome even death. I do not claim to know what that means—whether heaven and hell exist, what the afterlife looks or feels like, whether our individual souls continue to exist in some form. I tend to believe that we are reunited with God and with the souls of those we have lost, but in my mind that bears absolutely no resemblance to a family reunion filled with hugs and catching up on lost time. This is barely comprehensible to me, and I can’t imagine explaining it to a three-year-old. Add to that the questions arising from violent play. We have carefully sheltered B from violent images and realities so far in his life, but that cannot and should not last forever. The world is a violent place, and being a peaceful presence in the world requires confronting and understanding that violence. As he matures, he will come to know that reality, and we will not try to hide it from him. His question indicates, however, that he is not yet capable of comprehending anything beyond the feeling of fear that violent images might provoke. I also understand that war play is a normal and developmentally appropriate part of children’s lives (great article on that subject here), and I do not have any need to forbid those kinds of games from his life. There is little bad and a lot of good that can come from games of cops and robbers, or superheros and villains, or my childhood favorite, Jedi Knights and Storm Troopers. I wasn’t disturbed or angered to hear that friends at school are playing these games. Still, I think it’s important to let him know that violence is dangerous and wrong, and there are better ways of solving problems. All of those questions raced through my mind, but meanwhile I needed an answer, quickly. How I wish I could just offer a simple definition this time! Dying means that someone is gone forever, that they are not alive anymore and we can’t see them or talk to them. Like the dinosaurs—they are all dead. When you kill someone, you make them die. Sometimes you can play pretend about killing and dying. That’s okay if you’re playing superheroes or cowboys and there are bad guys. That’s just a game. But in real life, killing is very bad, because it makes someone gone forever, and their family would be sad about that. I’m not sure I exactly believe everything I told him, and there are things that I believe that I didn’t tell him. That answer just seemed logical and faithful. He seemed satisfied without being frightened. All the other questions and possibilities can remain unanswered for now. Holy Places: Making Sacred Space with Mission and Message, by Nancy DeMott, Tim Shapiro and Brent Bill, The Alban Institute, 2007, 257 pp. My congregation is in the beginning phases of a building project, including a major renovation of our basement and upgrades of HVAC, electrical and plumbing systems. I am excited about this project, because I believe it will grow our faith, our mission, our ministry and equip us for the future. But I have never been a part of a church during a building project, and I have no idea how the process works. Enter Holy Places. This book is a step-by-step guide to best practices for church building projects. The authors have studied a wide array of congregational building projects to gather best practices, key information and stories from real congregations about what went wrong and what went right. Holy Places provided me with an overview of the big picture of a building project, an introduction to key terms and elements of the process, and a perspective on my role as pastoral leader during this time. One of the best parts of the book was the authors’ attention to the faith dynamics at work in a building project. They emphasize repeatedly that building projects are spiritual endeavors, fraught with all the risk and possibility of a spiritual pilgrimage. Construction and fundraising can seem like a distraction from the “real” ministry of the church, but if it is handled right, it is a time of deepening faith and spiritual growth. No matter the size of the project or the congregation, Holy Places is a great introduction for any lay or clergy leader considering a building project. Unlike some books of best practices, it did not leave me overwhelmed with our church’s shortcomings or by the prospect of following such a rigorous plan. The steps they suggest are adaptable to each individual setting, and the stories even make the book enjoyable to read. After finishing the book, I feel like I can join my excitement over our building project with some basic knowledge about what to expect along this journey and how to shepherd my congregation through it, with the help of God.